Finding an apt translation for Topfen (or Quark) is harder than one might think. Here’s what Wikipedia has to say about this, just to clear things up. Moving on. 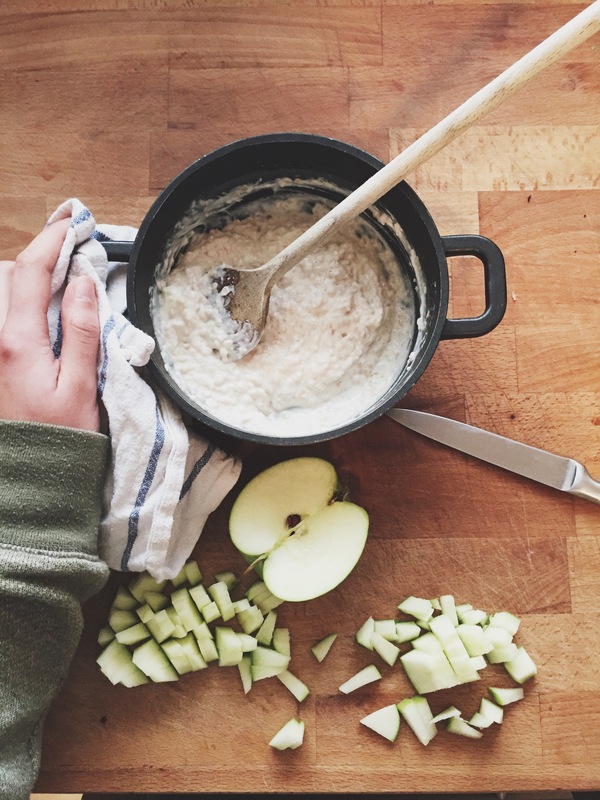 It had never occured to me to add curd cheese to my porridge, until my Instagram feed was suddenly swamped with it. Make the porridge as instructed. If you don’t have a ready made one you can always make it yourself by cooking up oatmeal and adding whatever fruit or dried berries you have. Nuts or coconut are also a nice addition. Personally, I love the combination of coconut flakes, some ground nuts (almonds or hazelnuts), and dried cranberries. Let the porridge cook until it reaches the desired texture. I made mine a bit thicker than usual because the curd cheese I add softens it up again. Then add the curd cheese, stir until well combined and top of with the fruits of your choice. I like to add a little bit of sugar. 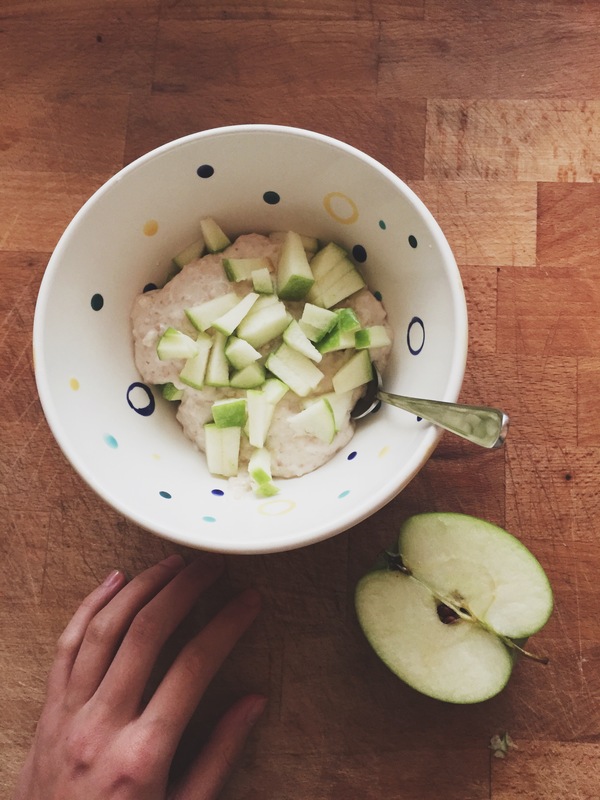 It’s as easy as that and gives your regular porridge a totally new kick of flavour. I’m in love. Very much so.